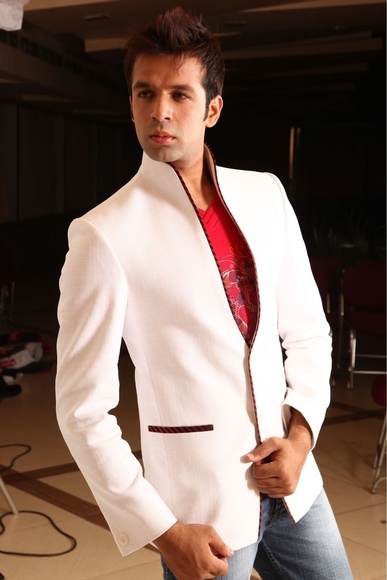 This remarkably astonishing high neck linen blazer projects a slim fit to enhance your persona. 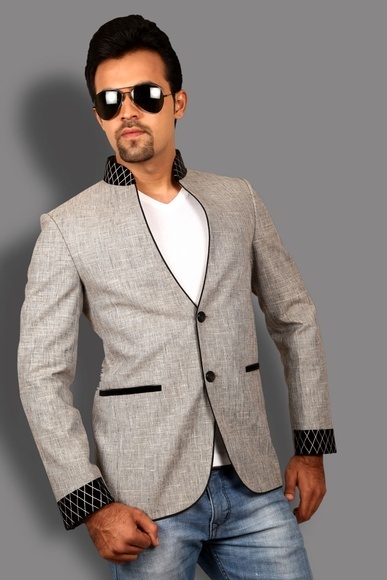 This 2 button blazer comes in square cut with an amazing piping design that boasts on your behalf! 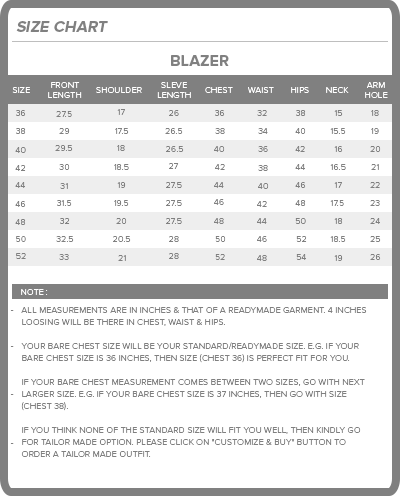 The blazer is fully lined to make you feel comfy while it is also fully canvassed for your comfort. It would fit you so well that you'd fall in love with it! 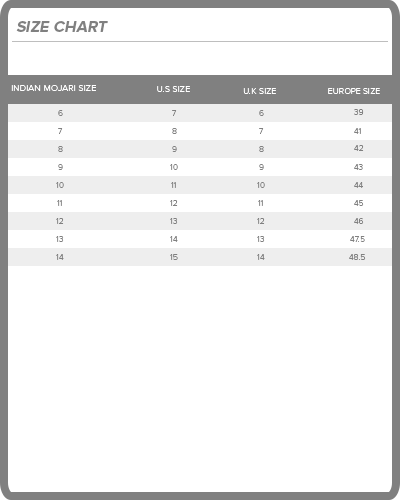 The model (shoulder 19 inches, chest 39 inches, waist 34 inches, & hips 41 inches) is wearing a size 40.